Two-month-old Addalie Grace Christensen was reportedly snatched from her car seat as her mother unloaded the car.Stephenvile Police Dept. 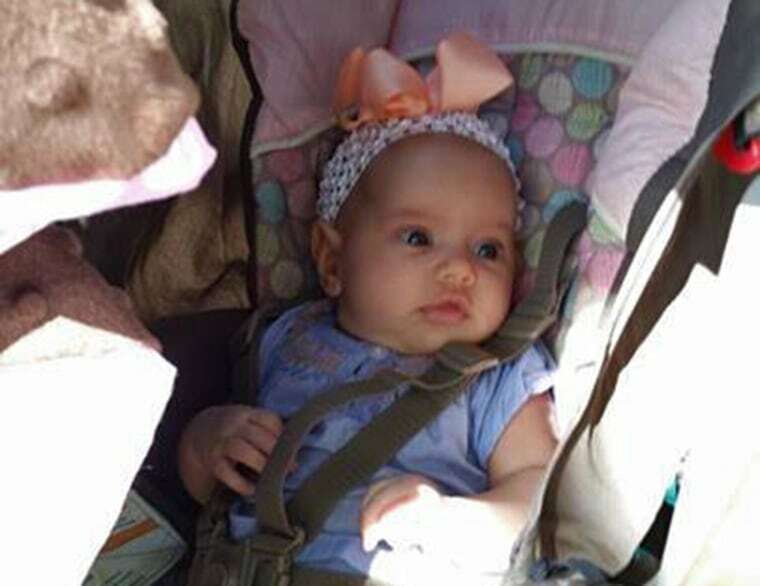 An Amber Alert has been canceled for 2-month-old Addalie Grace Christensen. She has been found safe in Dublin, a suburb of Fort Worth Texas, about 15 miles away from where she was kidnapped. She is back with her parents. Police arrested 38-year-old Latonya Suzette McClain. She will be charged with aggravated kidnapping. McClain snatched the infant directly from her car seat as her mother unloaded the car in front of their home Friday, police said. Officers told NBC 5 that when McClain confronted the child's mother, she demanded cash. When the mother told her she didn't have any, McClain grabbed the baby and ran. The infant was found at about 5 p.m. Friday with McClain and her parents, who may also face charges. Stephenville Police Chief Pat Bridges said he's never seen this kind of abduction before. NBC 5's Randy McIlwain, Christina Miralla and Holley Ford contributed to this story.